Cathy Isom has us exploring the many varieties of the most popular vegetable in the world. That’s coming up on This Land of Ours. Tomatoes are the most popular vegetable in the world. According to botanists, this South American native is actually a fruit. Despite this, most people prepare and eat it like a vegetable. One of the reasons why this is such a popular plant is that it can be grown almost anywhere. 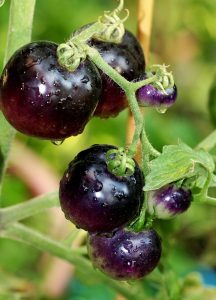 And with all of the varieties, you could fix a salad with tomatoes that have many different colors including black, pink, white, purple, blue, yellow and orange. Some have stripes or multi colors, like the Blue Gold Berries and Ozark Sunsets; unusual shapes – like the Pink Accordions ; and, unique names — such as Dark Galaxy, Chocolate Stripes, and Old White Eggs. 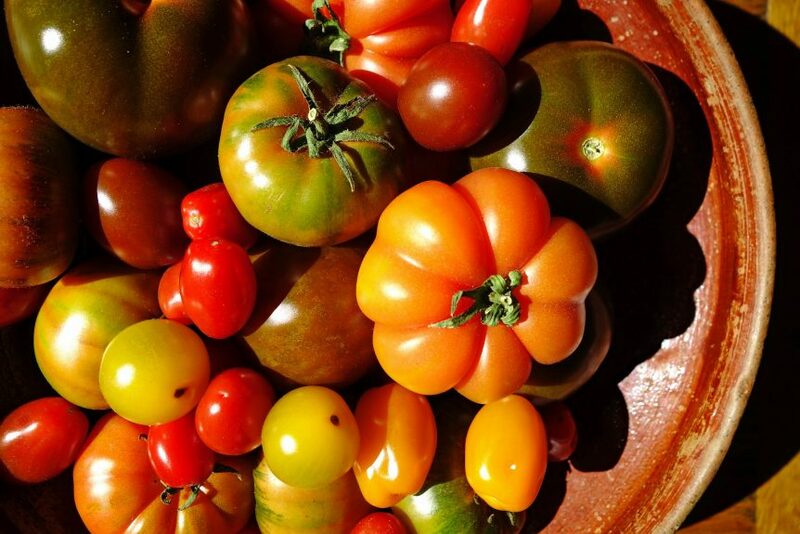 These tomatoes are all heirlooms or hybrids. You can find most of them on organic seed sites, or via seed-sharing programs.